Finally, a product that answers the number one question of all paddlers. How do I get back in if I fall out? Finally, a product that answers the number one question of all paddlers. How do I get back in if I fall out? 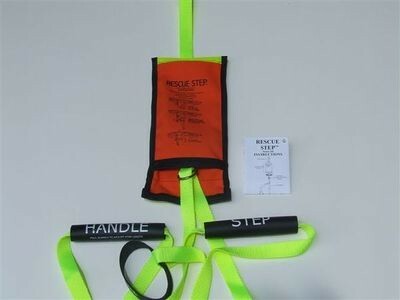 The Rescue Step is the answer and it is actually three tools in one: it assists in vessel reentry; it can right your overturned kayak; and can be used to tow or portage your kayak.